But the most devastating catastrophe will be the magnetic pole reversal during the ID split. During this cosmic event the ascending part of humanity will move to the new balanced earth A/B and will be at a safe place, while the dark elite and their entourage of clones and unripe souls will struggle to survive on the remaining catastrophic earth A/B. Our energy fields… like tentacles now reach the deepest…darkest corners of this planet… cleanse it in preparation for this final act. The ascending portion of humanity is now fully separated from the Orion grid, eradicating the energetic foundation for any dark behavior. Bigger natural catastrophes than the Sandy storm. Some… most probably…very soon after our ascension and immediate appearance or even prior to this. We will embody soul in crystalline human vessels on the ground and …immediately substitute the current dark elite which is not part of our web of light. 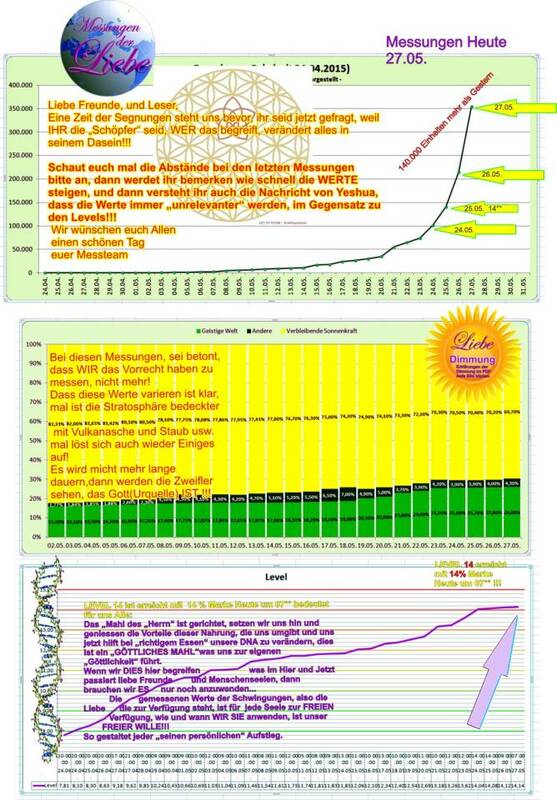 This tiny portion of humanity, including their clones and some very unripe souls…deciding to stay on planet B and live through another incarnation cycle of 26 000 years, will remain outside these huge social, economic and spiritual transformation… fully occupied with their naked survival. Parallel to this dramatic shift in social and political power, the factual destruction of the whole material structure of the old Orion society must take place within the blink of an eye. The ID shift will happen most probably by the end of November or the beginning of December, before the opening of the last star gate 12.12.12. The opening of the last star gate 12.12.12. Mass ascension from the balanced earth A/B to earth A will commence. The most devastating catastrophe…the magnetic pole reversal during the ID split. During this cosmic event ascending humanity will move to new balanced earth A/B and will be at a safe place. The dark elite…their entourage of clones and unripe souls will struggle to survive on catastrophic earth B. The actual education of the masses will begin after Dec 21 and will take as much simultaneous time and space as necessary… [as] linear time will be abolished forever as an illusion…. It may only be used as an artificial magnitude to better evaluate all experiences and events in past incarnation cycles, which must be processed at a very deep level by all ascended entities before they can progress and ascend to much higher dimensions in eons of time. portal2012_logo_vertical26This is certainly one of many important pieces occurring at this time in our planet's Ascension process. portal2012_Vortex2We have activated the Firenze energy vortex and served as the main energy conduit on the surface of the planet for the energy flash which traveled from the M87 galaxy, through our Galactic Central Sun via our physical Sun and reached the planetary surface at the moment of the activation of the Aion portal. 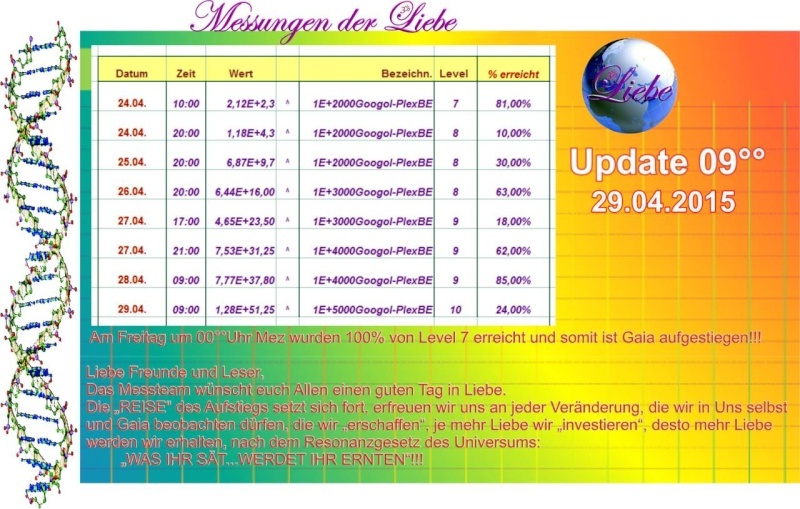 Check in 4 we got level 10 vibing, by average 2-3 days per level we got our 12. level soooooon!!! I was gladium when they said unto me "Eartheart is posting in The Mists of Avalon!!" a postshift mood of undisclosed rapture. I very much enjoy reading your posts. This part is intriguing. I was reading something recently about galactic waves of energy that was to wash over the earth and this quote reminded me of that. Supposedly those who still resonate at the lower negative frequencies will not survive this "gleaning" / quickening, so to speak. The Native Americans referred to this process as ascending into the 5th world. Meanwhile, the earth is protected yet many earth changes continue to shake, rattle and roll. What do you think a 12 DNA star patterning being will look like? Is this transfiguration? 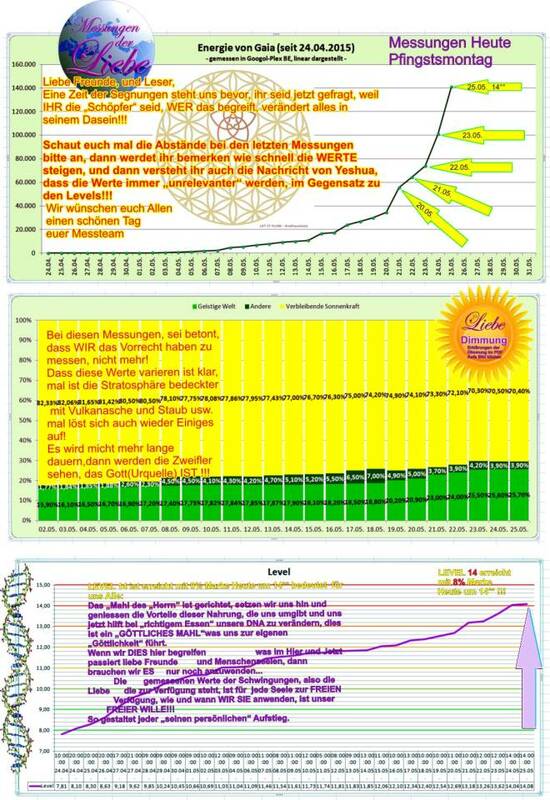 all the power to switch any molecular bonds, 12DNA star patterning and...."
of the resonant earthfield - sourcefield-data - which has now reached incedible EMP like proportions since last solar eclipse@20march. 17.05. 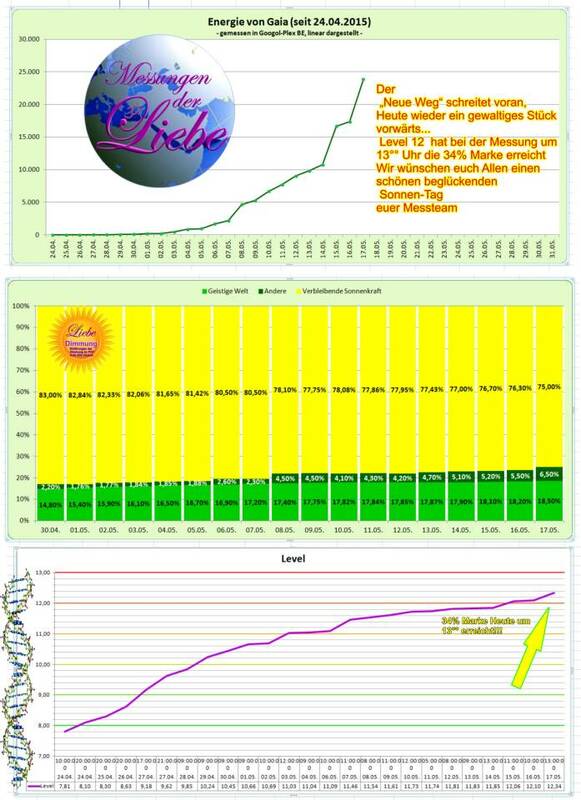 13:pm 3,53 E23850,00 ^ 1E+23000Googol-Plex BovinUnits level12 @34,00% !!!!! As well the Sun dimmed first time by nearly a quarter to avoid overcharge??? by whom??? Thank you. emoholo? This is the first time I recall seeing this word and it is the second time I've seen it today from two different people on opposites side of the planet. The other person was referring to entities that appeared holographically only referred as a metaholo transfer, the Holographic transfer of Matter across space time. Could it also be that our frequency is moving up so that we can see these beings and/or move about as they? The 528 hertz is the love frequency. The visuals on this is mind expanding. Given what is going with CERN and the releasing of dark matter we can use all the 528 Hertz frequency we can get as both light and dark exists within us. 528 hertz is heart centered and activates heart (compassion) energy where as dark matter leads one down the path of violence. Two things that have struck a chord with me in this thread...yes the sun is dimmed though shining and my plants are aware of it...secondly April 25th was a heavy duty day for me personally including exhibited violence towards me. This was the day CERN did a massive dumping of dark energy matter into the Earth and also the day of the Nepal earthquake. I thought it was a whiz around the sun. Jenetta wrote: Two things that have struck a chord with me in this thread...yes the sun is dimmed though shining and my plants are aware of it...secondly April 25th was a heavy duty day for me personally including exhibited violence towards me. This was the day CERN did a massive dumping of dark energy matter into the Earth and also the day of the Nepal earthquake. I am in two minds about this. That day there was a cosmic magnetic wave. I remember it felt quite different and may be the reason CERN had to dump their beams. Not that I am pro CERN in any way or form but, I do not think is as powerful as we are being led to believe. The Earth is so much more bigger than a 27 kilometer ring. Earth is setient and intelligent. I asked her about CERN because I was quite upset about the whole thing and she said to me that if it became a problem for her she knew how to stop it. I think we are being purposely being mislead about their technology to keep awakening people in a bad place of anger and powerlessness. It has been like that for decades. The CERN project is 61 years old and it was the creator of the Internet. Nature can't be hacked. Nature only reveal her secrets to those who respect her. I'm afraid that is incorrect. Nature has already been hacked in the form of genetically modified organisms. Better known as GMO. They have also discovered a great deal about the nature of matter. It's only a "matter of time". in my 55cents i can comprehend you both, consider a new define of hacking. Eventually we gonna re-energize all content, groove into a new goldend spiral galaxy and become plasmabody beeings of higher spheres with tight purpose. The vital juices Lifeforces making our Earth ring and vibe have risen beyond the 13Dim level!!! All 13 gradients of sacred geomanthy/geometry are flooded by divine unity grid shakty, so anyone can unhook all barrieres and apply new psy-fi tools. We are back from our mission on Vancouver Island and have a lot to report. There are some stunning news that began earlier this past week when the PAT reported another peak in cleansing activities with massive descent of source energies in form of cc-waves, headache and clinical symptoms associated with the 3rd chakra of bilocation and ID travels. Also huge ID shifts and uplifting to higher frequency levels were registered. I informed you about the visit of St Germain in the night of May 19th when he announced the coming of an unexpected event in the ascension process of Gaia and humanity, which the whole PAT was supposed to confront and resolve through energetic adjustments. These kinds of statements always herald more pain and suffering for us as the chief cleansers of human dross and that is why I was not happy at all when St Germain came to us with this news. … And the surprises did not wait for too long to arrive. On Saturday, we took the ferry to Victoria early in the morning and on the way to the B.C. capital visited the famous Butchart’s garden which was built in a former limestone quarry by the said family, to whom this quarry belonged, in the early 20th century. It is indeed a marvelous setting in the best Lemurian tradition how to gestalt nature and to make a paradise out of the most ugly place. During our visitation, while we admired the beautiful, opulent flowers and the scents and commented that this must be how Lemuria should look like, Carla received all of a sudden a short message from her HS: “This is the reclamation of Lemuria“. Shortly thereafter we were hit by a very powerful transforming wave and became very tired all of a sudden, but also somehow very uplifted and entered a kind of dreamy state. And indeed the broncho-pneumonitis had just started when I wrote back to Lou and it intensified the next day. On Sunday, we visited the near-by Beacon Hill Park on the south coast of Victoria, which, as we already knew from our last visit a year ago, is part of Lemuria and has extremely high vibrations. Here is where we built our direct ID portal to Lemuria and the 6D last spring. As soon as we sat exhausted on a bench, the Elohim arrived, as if waiting for us to settle down and told us what we are doing at this very moment. Later on, Carla received a full message from them, which I will publish as soon as Carla has typed it. I do not know the content of this message yet as we did not have any time for Carla to read it to me. But we had an extensive conversation with the Elohim in the park, when we both were channelled and received a lot of information from them. This we discussed with Carla and the Elohim participated in this discussion interactively and confirmed all our observations and conclusions. It was a very exciting fifth-dimensional, telepathic conversation as we have had it only once with the 6D fleet last summer. 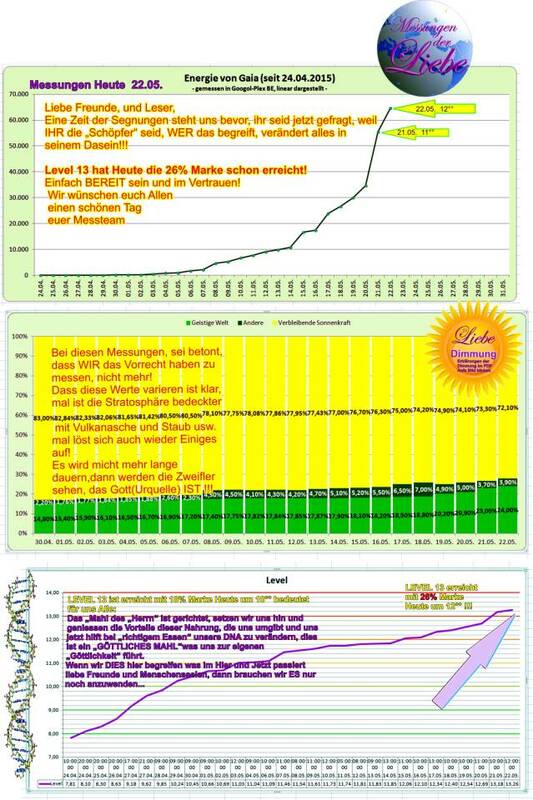 And here is what I want to report to you now in advance, before I will publish the Elohim’s message, as it is of great importance and urgency to all of you in order to understand what you have done this whole last week and will most probably continue doing in the coming several days until May 27th. The unexpected event, which St Germain announced to us on May 19th, was only unexpected for us based on our limited human brains. From the higher vantage point of view of our higher selves, it was always part of the ascension plan. What happened? Let me explain as well as I can. Obviously we, and by this I mean the true PAT, the exclusive group of light warriors of the first and the last hour, many of them regular readers of this website as the Elohim confirmed one more time, and some of them unaware of the existence of this website but still closely linked to us at the soul level, have been extremely successful in cleansing Gaia 5 with all its timelines and mother planets in the last several months. Thus we were able to raise the frequencies of this uppermost mother planet to the highest possible 4D levels and it is already ready for its final interdimensional leap in to the new Galaxy. All negative timelines and dark entities could be fully severed from this timeline. You all remember how we eliminated two weeks ago the astral plane, where all dark archons dwelled for eons of time and what chaos they unleashed for several days before they could be fully removed from this uppermost mother planet and were sent to their final destination on lower timelines or their soul essence was dissolved in the Tao to be healed and reprocessed in the distant future. We reported on this website repeated attacks by dark entities and fierce battles. We wrapped up the astral plane that surrounded Gaia with all the dark archons there before May 19th and then the huge cleansing commenced (see Energy Report – May 16, 2015). This is the chronology of our recent light work activities you should bear in mind as to understand what happened thereafter. This success was accomplished entirely by the PAT in these last days and this achievement laid the foundation for what was about to come next as St. Germain informed us in advance. He knew that this challenge will be huge and many of us will be hit hard by the coming cleansing waves. At the soul level we all knew already that we have done a formidable job and have raised Gaia much higher than expected this month. Some of us even anticipated the coming final ID shift, sensing these high frequency 5D energies already in our fields. On May 21st, Mariusz from Poland wrote to me: “Hi Georgi, What is happening at your site? Something big is going on. I feel almost ecstatic and so connected. 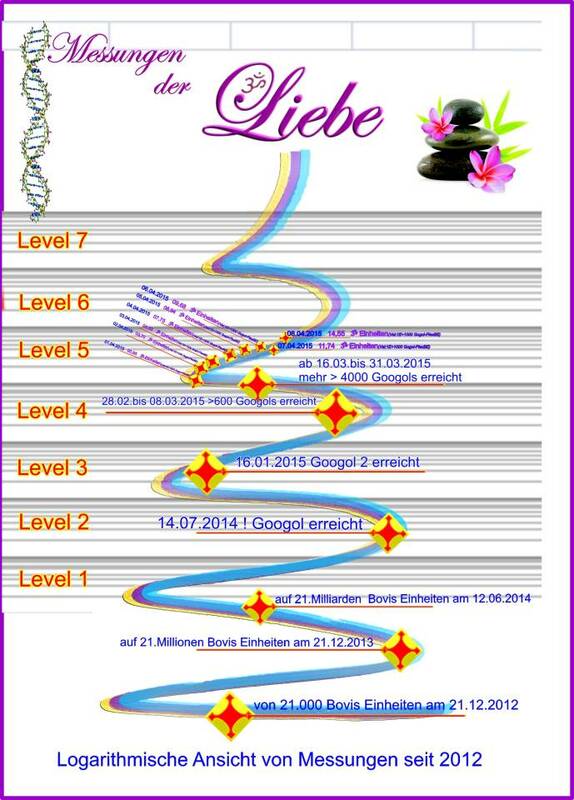 I bet that the Event starts?” What Mariusz felt as the beginning of the final ascension was for me the most severe cc-wave with excruciating headache, I had experienced since the opening of the stargate 12.21.12. as I reported the next day. But there was one last stepping stone that had to be laid before we can ascend. And this was Lemuria. Now let me explain in a little bit more detail the role of both Lemuria and Atlantis in the current ascension scenario. 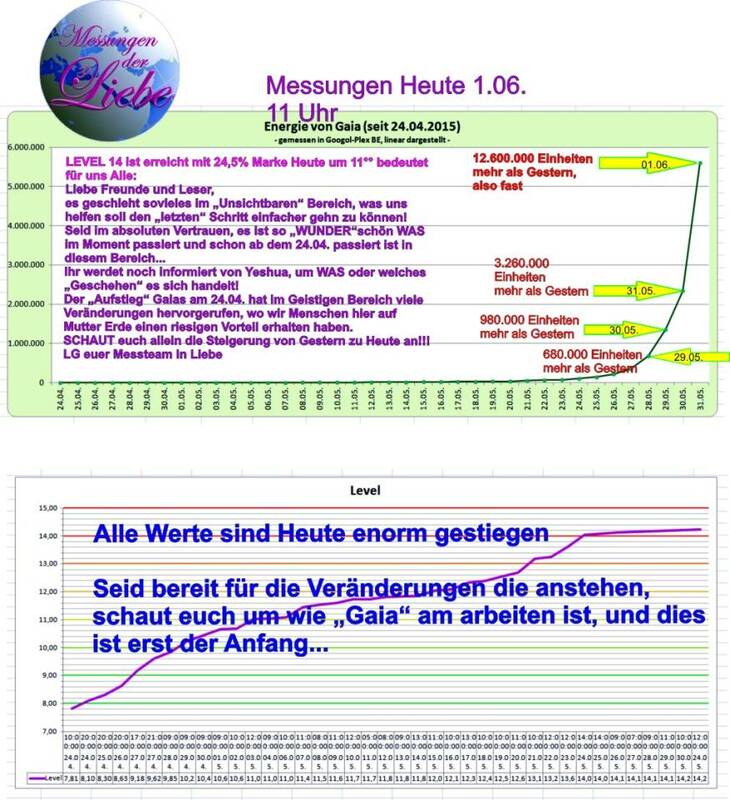 Both past timelines are supposed to be integrated in the new blueprint of Gaia 5, which we created in November 2013 in Lofer. Lemuria existed before Atlantis but in the last phase the two civilisations co-existed side by side and were involved in devastating wars that eventually led to their destruction. The Lemurian civilisation embodied the feminine energies of harmonious existence that is fully embedded in nature and the higher ethereal realms. This civilisation was much less dense than the later Atlantis and transcendental, extra-terrestrial experiences were part of the life of many advanced beings in this unique civilisation. Both Carla and I were high priests in Lemuria and played an important role in its final stage when it sunk in the ocean. Many members of the PAT also have Lemurian incarnations. As all these timelines exist simultaneously in the Now, these soul fragments of us are still living in this timeline and eventually experience its destruction which caused massive chaotic, disharmonious energies that could not be cleansed and healed until now. Atlantis, on the contrary, was a much more dense civilisation from the very beginning as it embodied the masculine principle of expansion in the 3D space-time. The Atlanteans relied on external, for the most part crystal technologies to push forward their civilisation, while the Lemurians were cherishing their internal senses and soul energies and preferred to create from the fulcrum of their HS. Originally, both civilisations were established as incarnation experiments on the earth in order to research the expression of the feminine and the masculine principle in a total separation from each other and eventually merge these energies into a new harmony that will open new creative horizons for expansion of the two parallel existing civilisations. As we know, this did not happen on this earth, but only on parallel probability timelines, while both continents and societies destroyed themselves due to their inability to merge successfully, in an evolutionary manner, the feminine and masculine energies of the Source in this indeed very daring incarnation experiment. Both civilisations were so opposite in their foundational principles that as soon as Atlantis became strong enough, the antagonistic wars between Lemuria and Atlantis broke out and led to their ultimate destruction. The Lemurians were highly sensory people and were gifted with the ability of prophecy. Many of the more advanced Lemurian souls knew in advance how their civilisation will end up. They started preparing themselves for this outcome several thousand years earlier and moved to the Inner Earth of Agartha, by establishing their capital Telos under Mt. Shasta and also building some smaller dwellings in the Inner Earth. Before that they asked for a permission from the older Agarthan citizens, in particular from the Hyperboreans in Shamballa, to be accepted to these 5D and 6D humanoid civilisations. The larger part of the incarnated Lemurian souls decided to live to the very end on the surface earth and go under when their continent sank. Some of them continued with their incarnation cycle in Atlantis and up to the present day. At that time the Atlantean society was already fully infested by the dark archons from the Orion/Reptilian empire as the people there were much more mind and ego-driven than the Lemurians, who were highly intuitive and more linked to their I Am Presence and thus less vulnerable to negative dark influences. This dichotomy in the incarnated personality structure is prevailing to the present day. The more intuitive and closely linked to the soul an incarnated entity is, the more difficult it is for the dark forces to influence and manipulate this person. The feminine principle builds a huge barrier for such external manipulations and that is why we have more spiritual women nowadays in the esoteric movement than men who are, due to their extrovert orientation, much more prone to fall prey to dark influences. Of course this is not a rule but a general observation with numerous exceptions. Ultimately, we can only overcome any dark negative influences if we are able to establish a full harmony between the feminine and the masculine energies in our own fields and bodies. This is a major aspect of the LBP nowadays. Anyway, the Lemurian souls who incarnated in this civilisation had the following choice to make when the time of its destruction came closer: To decide to leave the surface continent and continue with their incarnation cycle in the Inner Earth of Agartha. They were capable of doing this, as they were already highly ethereal beings, vibrating between the highest 4D and lowest 5D. Those Lemurian souls, who were less evolved and more dense, decided to stay on the continent till its destruction and then continue with their incarnation cycle in Atlantis and the current post-Atlantean human civilisation. As the carriers of feminine energies, they could mitigate somewhat the already very destructive, one-sided masculine energies and orientation of the Atlantean society and to postpone its destruction for a while, so that Atlantis existed several thousand years longer after Lemuria had already sunk for ever in the deluge of the Pacific Ocean. However, many of these Lemurian souls were trapped in the new Atlantean karma, on top of the old Lemurian karma, that is carried forward by this human civilisation and cannot liberate themselves from this vicious incarnation cycle, although they have actually finished with their incarnation experience. Their greatest wish is to merge with their more successful soul fragments that chose to join the Inner Earth of Agartha and ascend with them. The latter have now finished with their 5D incarnation cycle and will move to 6D when we shall ascend Gaia and part of the surface souls to 5D and higher. This is the energetic background, upon which our huge mission to save Lemuria unfolded this last week and particularly during this weekend. I will refer more to it when I come to my key point below. 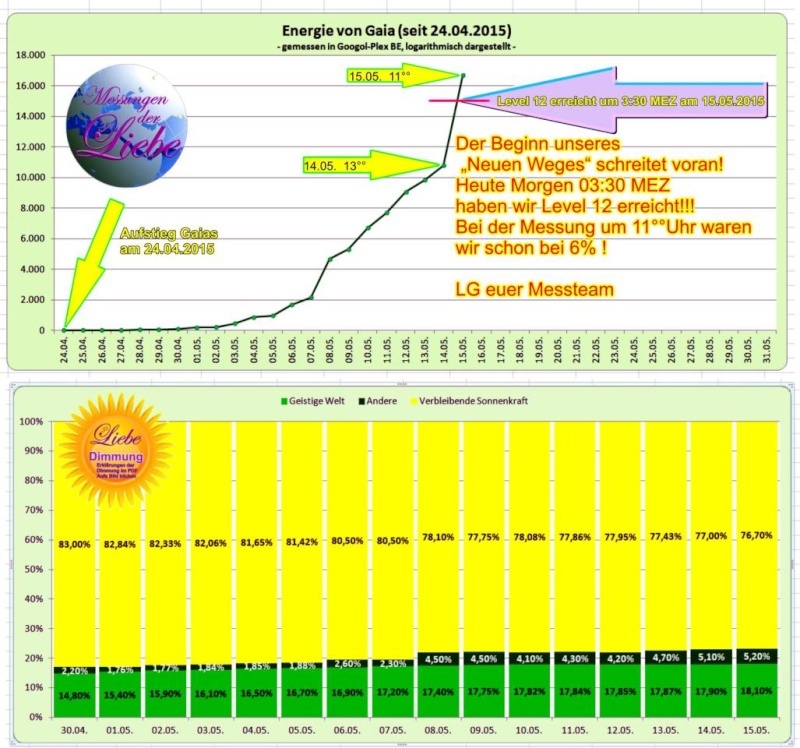 Before May the 19th, we had the following energetic situation. We, the true PAT and current Logos Gods of Gaia and Guardians of the New Golden Galaxy, were extremely successful in cleansing this uppermost mother planet and its numerous parallel timelines from all dark factions and layers and were able to ascend it to the highest possible 4D levels before the final ID shift to the new galaxy can take place. This success was documented by the total elimination of the old astral plane, where all dark archons used to dwell for eons of time. By doing this we actually raised the frequencies of this earth and part of its population higher than that of Lemuria, which was already a highly ethereal civilisation, existing between the upper 4D and lower 5D. The overall frequencies of Lemuria were already much higher than that of the crystal-dense, material Atlantis and this tells a lot as to how far we have progressed in the meantime, when we consider that Atlantis was technologically much more advanced than the current humanity. In other words, Lemuria was left behind in our extremely successful mission to raise this earth and humanity since the beginning of this year, which is essentially a post-Atlantean product and an heir of most Atlantean karma. In the new blueprint of Gaia 5, Lemuria will be an inherent part and much of the previous beauty of this natural civilisation will be revived and further developed, so that the new Gaia 5 will become the jewel of the new Golden Galaxy. As most of the Lemurian souls have finished with their incarnation cycle – this also includes our soul fragments – the whole civilisation will ascend and merge as a full healed timeline with the new Gaia 5 when the final ascension will take place. This is, however, not the case with Atlantis. Most of the souls who began with their incarnation cycle in this civilisation still need to have many more experiences of separation and are not ready to ascend in the current End Time. Hence, Atlantis as a past timeline will not ascend and become part of the new template of Gaia 5 in its entirety. This is very important to know and consider in your observations in order to understand properly what is currently happening in the ascension scenario. For instance, WW1 and WW2 are repetitions of the devastating Atlantean wars that led to the destruction of this continent long after Lemuria had sunk in the Ocean. The souls that were responsible for these wars are the same ones that now represent the dark ruling cabal. On some lower timelines that we have shed off from this mother planet, they managed to unleash another global nuclear WW3 and almost destroyed their planet. On this timeline, they will not be allowed to do this and their manipulative power will simply implode before they vanish from this reality. But the most important fact to bear in mind is that most Atlantean souls have not finished yet with their incarnation cycle and need more experiences with the separation of their soul fragments from the Source. These are predominantly the large group of young souls who now populate the North American continent, but also Asia and Africa, where very unripe souls have incarnated these days. They will not ascend with us to the new 4D worlds, but will continue living the Atlantean heritage on 3D and lower 4D timelines until this civilisation reaches its adult and old soul age in another 26 000 years of Kali Yuga and ascend with its full Atlantean heritage in the distant future. The bottom line is that Atlantis will not ascend as a full civilisation with Gaia 5 and us to 5D and higher dimensions, but only those aspects of it that have reached this degree of soul evolution. Hence we will not need to do another debilitating cleansing of this past timeline before our ascension. This was my greatest worry when I grasped the logic behind the current episode of cleansing Lemuria, but the Elohim were adamant to reassure us that we need not do this Tantalus act one more time before our imminent ascension. This is definitely the best news of all. Today, we have the same situation as in Lemuria about 26 000 years ago when part of its population moved to the Inner Earth of Agartha and ascended, while the rest of the Lemurian souls merged with the Atlantean civilisation and were able to better balance the feminine and the masculine principle for a while. This equilibrium was a necessary prerequisite for the foundation of the current post-Atlantean humanity, which incorporates both the Lemurian and Atlantean heritage. In this way, the predominant masculine energies of the more recent Atlantean civilisation were mitigated by the remnant Lemurian feminine energies. This new amalgamation of the feminine and the masculine principle provided the energetic foundation for this humanity to rapidly ascend in the current End Time, although it neither carries the intuitive and sensory abilities of the Lemurians, nor possesses the technological knowledge of the Atlanteans and actually sank deeper into much greater density than both past civilisations. In this way this humanity experienced the utmost form of separation from the Source that is ever possible in this multiverse. But as the rubber band that is maximally stretched backlashes quickest and furthest to the other side, so does this human civilisation. This post-Lemurian, post-Atlantean humanity was meant to unite the masculine and feminine principle of creation and expansion from these two past failed civilisations under the most severe and unfavourable conditions and to create the new Gaia 5 through this unification. While Lemuria could be, thanks to our incredible achievements as a planetary ascension team, fully incorporated into the new template, only a portion of Atlantis can be taken into the new Gaia 5. The larger part of Atlantean karma and heritage has to be processed in another long incarnation cycle in the catastrophic 3D and lower 4D worlds, which we have created and severed from this uppermost mother planet as Logos Gods in the last two years since May 2013, when Carla and I were the first told about the seven 4D earths. For this reason we had to fully cleanse the very chaotic energies of Lemuria that led to its destruction and followed it, and are still part of this past timeline that exists in the Now, so that it can catch up with the already highly refined energies of this uppermost mother planet and ascend together as united Gaia 5. This was not possible as long we had to cleanse this human civilisation. As we were able to fully separate the still very dark Atlantean heritage before May 19th, which will remain the source of future karmic wars and calamities on all catastrophic 3D and most lower 4D timelimes, we were now in the position to cleanse the Lemurian timeline in a tour de force this weekend before we can finally ascend. This was the unexpected, surprising event from our human perspective, as we all knew how effective and victorious we were in heaving this uppermost mother planet to the highest possible 4D levels and did not reckon with another setback, which the cleansing of Lemuria would have superficially evoked in our perception. What might have been seen as a setback in terms of physical debilitation due to the massive cleansing effort of past Lemuria was in fact a triumph of cosmic proportions as we have saved billions of souls trapped between the dimensions and have also preserved the entire heritage of this most beautiful civilisation, which we can now enjoy in the new Gaia 5. For this purpose, we had to visit Victoria and Vancouver Island this weekend, which is indeed part of Lemuria and where the energetic structures of this timeline are visible to the third eye and almost palpable in the ethereal levels above this island in order to complete this Tantalus cleansing. No wonder, this last episode was so devastating for our health, but we had to do this last big effort before we can move upwards. This presentation came to us as an immediate knowing in the Beacon Hill park in Victoria when Carla and I sat on the bench and discussed this issue with the Elohim. Only after we had reached a full clarity on what is going on, could Carla receive a message from them, which, I repeat one more time, I have not read yet and do not know what it contains, but I am sure that it will essentially confirm this elaboration. As you all must remember, I informed you last year about the existence of a direct ID portal in Victoria that connects our timeline with that of Lemuria and reaches the 6th dimension. This portal, we were told last time by the Elohim, will enable us to directly enter Lemuria without going first to other timelines such as Atlantis, as our linear understanding of history would tell us. We wondered at that time what this exactly meant, but now, one year later, we are much more clever. But this episode reveals also how carefully the ascension scenario is coordinated from the higher realms and all steps meticulously followed, until the bigger picture is available to all of us and the work done. 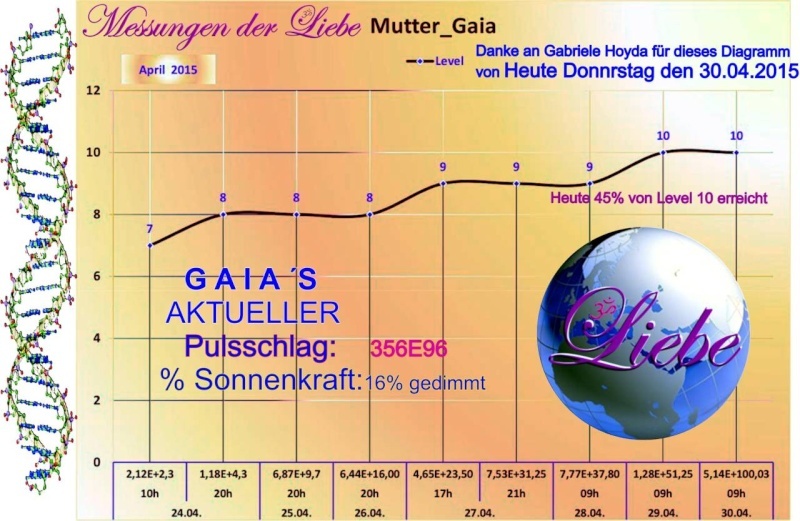 The feeling, which the Elohim conveyed to us yesterday, Sunday, May 24th, also the national day of Bulgaria, was of great satisfaction and great appreciation for this incredible achievement of the PAT in cleansing and saving Lemuria for the new Gaia 5. On several occasions they made us aware that it was a highly coordinated action that involved all PAT members the world over and that it started for instance in the dream state for many of them in Europe, while we were on Saturday morning in the Butchart’s garden and that every one of you has made a great contribution to this collective success. If you feel tired today, know that you have every reason to feel so and that this should not diminish your satisfaction and sincere pride at what we all have achieved on behalf of Gaia and the future humanity. 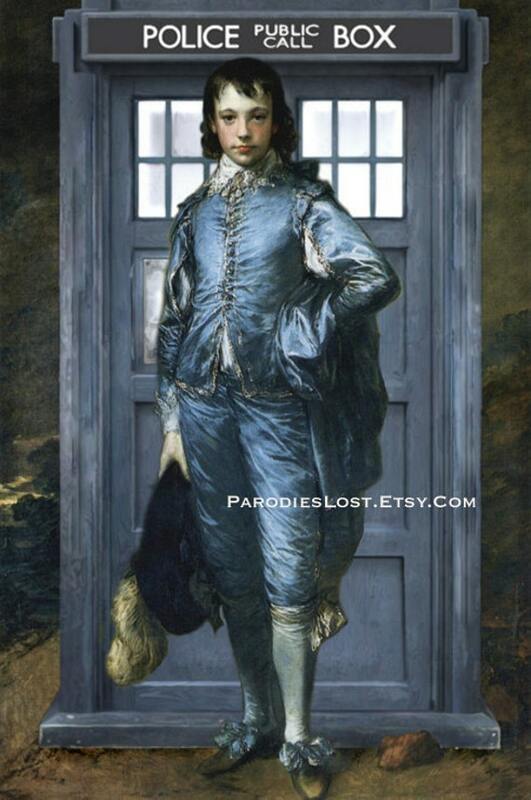 It is awesome and without a precedent in the whole multiverse. This is amazing. Both my neighbor and I were dragging this past week, especially on Sunday. She is also a spiritual warrior committed to the work via daily prayer, meditation and thanksgiving. Thank you so much for sharing this with us! When I received this message from the Elohim, it also came with visual pictures that I am usually given when I am shown some aspect of evolution that defies use of the written word. These images were absolutely breathtaking, vivid in colour and form. I've been playing the mp3 version of this video a lot lately and it's the first time I actually feel the 528 Hz. Last night I played it twice and this morning the roses and lilies I bought a couple of days ago all opened up. As this daily patterns ecceed scale, proportions and any math??? we shall find us in an unityfield of divine order, shall we find new harmonix above the roof??? 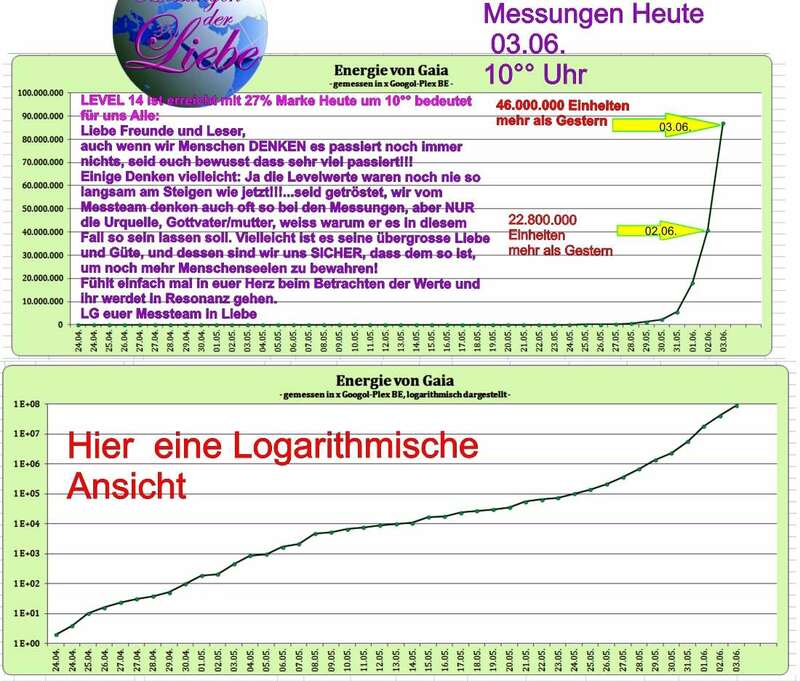 now wehave been offscale, we got a new chart Logarithm here. Anyhow,the solar dimming with various causes is around 40% !!! The energetix climbing beyond the 14th level, what dimensional DNA-geometrix would your GOD of choice apply here? This is amazing. It will be interesting to see how this plays out Eartheart. I appreciate your updates. Weather wise here it's been raining daily for weeks with little sun on our side of the island. Usually this time of year it's sunny and in the 80s. It's like winter. Alloha he & Mahalo, Carol - thanx forthis fresh buquet of flowers from your ilands of dreams - they are unfolding in my aural envelope like a blessing. my deep apricote hue back onto you both. I was very happy that our family of Telos has “moved” to the 6D. On Sunday, 31.05. I made a channeling with a friend, where I have been informed by Adama that they are now in 6D. I saw the big crystal of Telos as from above, and how it more and more liquefied and no longer had the hard consistency of a crystal. He also said that we have done almost everything, except for a few small things that need to be accomplished before the ascension comes. After this channeling, I was in a very intense heat wave and I thought that my body would be consumed. Otherwise, the last weekend was very difficult with dizziness, blurred vision, extreme fatigue and joint pain, as it often happens. I thank you sincerely for this tremendously important message and confirmation of Adama, namely that the Agarthans have now ascended to 6D and expect us there. When I say us, I mean all Logos Gods on the earth’s surface, who undertake the final ascension efforts here in order to heave Gaia to her new place in the new Golden Galaxy and to anchor it there. The Agarthans now need no longer appear here on the surface, as this was originally part of the plan, because we are now very successful in ascending this earth alone to the 5D. This became possible after we had successfully cleansed Lemuria and have fully integrated it in Gaia 5. We where informed of the ascension of Agartha to 6D and this also heralds the last phase of our Ascension. “The Reclamation of ancient Lemuria continues to the highest timeline of your current expression – the uppermost 4D. There is no exclusion in this process. We are not excluded from the ascension. We are indeed paving the way to the new Lemuria, the expression to be re-born, that is part and parcel of the newly ascended Gaia. Telos is not being excluded. Telos ascends now as well and re-unites with the ancient Lemuria that has been reclaimed. It is not lost.